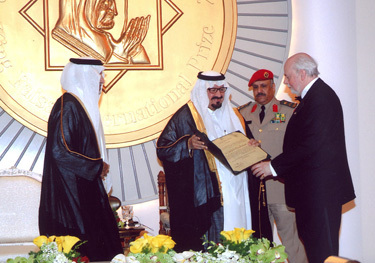 The center’s co-director, Professor Sir James Fraser Stoddart, was awarded the King Faisal International Prize for Science in 2007 for his outstanding research. He created a new and promising field of chemistry by introducing mechanical bonds into chemical compounds. Using molecular recognition and self-assembly processes, he is able to mechanically build interlocked molecules that can be used as functioning devices after the same style found in the living world.